Look who’s back! Those of you who have been at NEO a long time will recognize this friendly face. My girlfriend Ami is back in Okayama after more than a year abroad. Ami left Japan in May of last year to do a working holiday in Canada. She lived in downtown Toronto for most of her stay, working at a café that specialized in burritos and other Mexican food. She made a lot of good friends there and saw all the fun things Toronto had to offer. 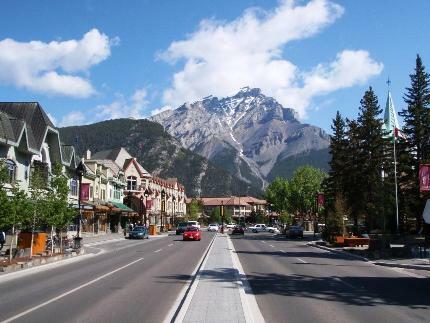 For the last 3 months of her visa, Ami moved to Banff, a beautiful ski town in the Canadian Rocky Mountains. She did housekeeping at a hotel there, while still using her time on the weekends to travel, go hiking, and explore the breathtaking sights all around. Ami also spent a lot of time in the U.S., where she mostly stayed with my family. Together, they went to quite a few places along the East Coast, including New York City, Boston, and Washington, D.C. She’s seen almost as many places in the U.S. as I have!